Mixed Media - pencil, pen, watercolor, brown paper bag and watercolor paper, 2014. I was invited to participate in a brown wrapper themed exhibit in Milwaukee. 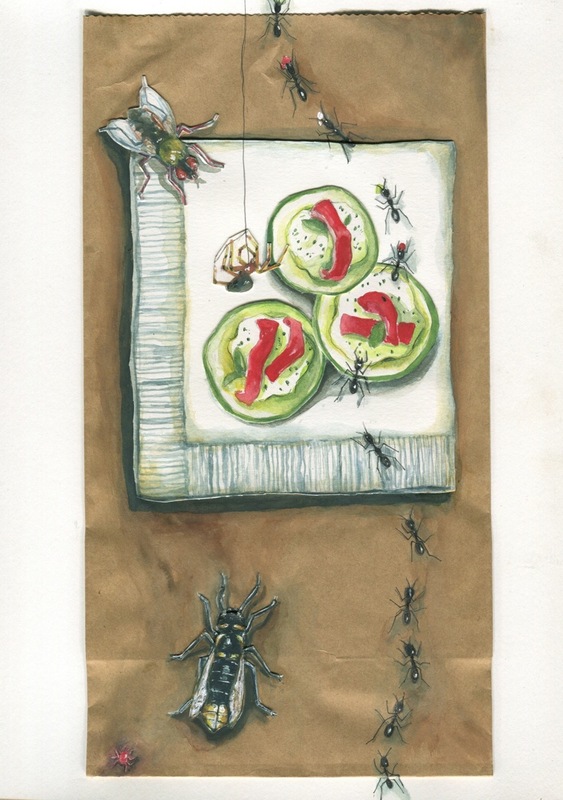 A brown paper bag immediately came to mind, then eating outside, then all the creatures that typically visit a person. The images includes the usual suspects - ants, a hornet, a fly, a spider and a clover mite. 7" x 5"8.5" x 6"10" x 7"10.75" x 7.5"